TRANSITIONS® How do Transitions® Adaptive Lenses™ Work? Transitions adaptive lenses are variable tint lenses which activate when exposed to Ultra Violet radiation (UV rays). Transitions adaptive lenses benefit from an exclusive patented Technology developed and constantly improved by Transitions Optical. When the UV light diminishes, Transitions adaptive lenses fade back to clear. Transitions lenses help reduce glare as they automatically adapt to outdoor light Intensity, improving contrast and reducing eye fatigue. By working hand in hand with Transitions Optical, Shamir offers premium photochromic progressive & single vision lenses with high performance. The collaboration between Shamir and Transitions Optical merges cutting-edge lens designs with state-of-the art photochromic technology. This combination provides patients with high added value lenses offering optimum indoor/outdoor comfort. Optimal balance between outdoor darkness and indoor clarity. Everyday adaptive lenses with a fast fade back speed. Clear as an ordinary lens indoors. Go outdoors at different time of the day. Spend generally more time indoors. 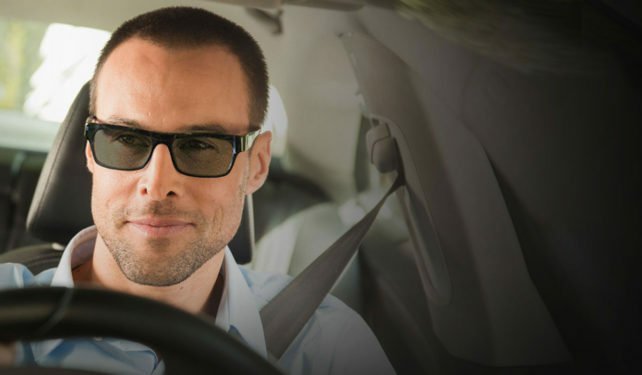 Extra protection against glare, because they are always active – even when driving. Extra dark even in hot temperatures. Filter indoors for extra comfort. Spend a lot of time outdoors and driving. Seek more visual comfort in the car. This entry was posted in Blog and tagged accessory trends, eye glasses, Eye Openers, eyeglasses, eyewear, Rochester NY on March 26, 2018 by eyeopenadmin.